Following my latest posts Mixed Reality: Serious Games For Creative Leaps In Learning and Serious Games & Conventional Simulation Convergence: Game-Based Simulation, dedicated to The Media Convergence Laboratory (MCL) and Applied Cognition and Training in Immersive Virtual Environments (ACTIVE) Lab, both of them under the umbrella of the Institute For Simulation & Training at UCF, here is an overview of the Institute itself. The Insitute for Simulation and Training (IST) is an internationally recognized research institute that focuses on increasing our understanding of simulation's role in training and education. 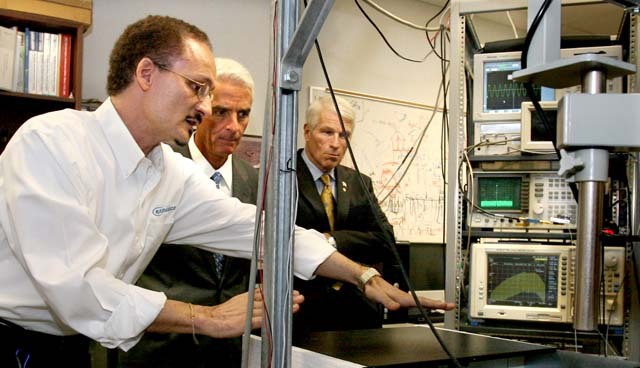 Founded in 1982 as a research unit of the University of Central Florida, the Institute for Simulation and Training was established to conduct research and develop technology that advances the state of the art in affordable and effective simulation capabilities and training systems. Driven by a proven record of research achievement, IST has developed unique qualifications and is positioned to provide the enabling technologies and technical talent necessary to research new ways to use simulation, improve human-agent interaction, and educate the next generation of scientists and professionals. The institute is one of an estimated 150 public and private entities specializing in simulation and training and located along the Central Florida High Tech Corridor traversing the state from Tampa to Daytona Beach, the largest concentration of this expertise in the world. IST actively assists UCF in the development of simulation-related curricula. First in the nation with a master’s degree in simulation systems, the university in collaboration with IST now offers a truly multidisciplinary PhD in modeling and simulation. Both master’s and doctoral programs accept applications from graduate students in computer science, digital media, psychology, engineering, mathematics, business, and related disciplines. For many outstanding graduates, IST is a launching pad to a career in the simulation industry. A significant number of existing professionals, both in government and industry, enroll in modeling and simulation graduate programs to continue their advanced education and hone their research skills. Research areas include: Multi-resolution simulation, Virtual and augmented reality, Human-machine interface, robotics, Computer-generated forces, Mathematical foundations, Application development, Information management technology, Human factors psychology and team training, Training and education, Media convergence, Embedded simulation and Parallel computing. IST's medical-related simulation research ranges from development of algorithms for 3-D endoscopic surgery simulation to the use of interactive virtual and mixed reality simulation for rehabilitation of patients with brain injuries. Related research in human factors adds the psychological dimension. A highly interactive surgical simulation model developed at IST allows military medics to train for various trauma and medical emergencies that occur in the field. Simulations generally come in three styles: live, virtual and constructive. A simulation also may be a combination of two or more styles. Live simulations typically involve humans and/or equipment and activity in a setting where they would operate for real. Think war games with soldiers out in the field or manning command posts. Time is continuous, as in the real world. Another example of live simulation is testing a car battery using an electrical tester. Virtual simulations typically involve humans and/or equipment in a computer-controlled setting. Time is in discrete steps, allowing users to concentrate on the important stuff, so to speak. A flight simulator falls into this category. 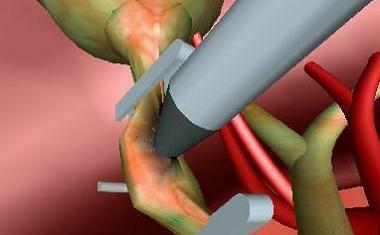 Constructive simulations typically do not involve humans or equipment as participants. Rather than by time, they are driven more by the proper sequencing of events. The anticipated path of a hurricane might be "constructed" through application of temperatures, pressures, wind currents and other weather factors. Most people first think of "flight simulators" or "driving simulators" when they hear the term "simulation." But simulation is much more. Because they can recreate experiences, simulations hold great potential for training people for almost any situation. Simulated experiences can be just as valuable a training tool as the real thing.